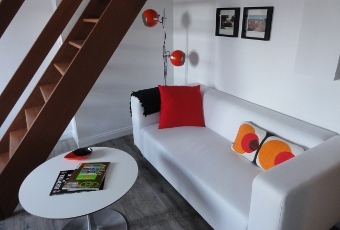 Your short term rental of furnished apartment in Lille for holidays or weekends. Beds ready for your arrival! Hip and country ... Yes, this studio situated in the Wild West of Old Lille has the air of a descendant of Uncle Bill. Thank you Buffalo! If G.Clooney had to choose its name, he'd have chosen Arpeggio next to "quai du Wault" in a glamorous apartment. What else? 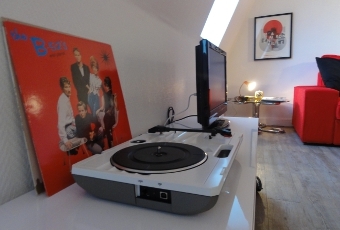 In the heart of historic district of Vieux Lille, history, light and pop atmosphere ... it is Pop heart! Relive a moment of history at the front seat of Lille ... Block Pop Up for your VIP stay. © Copyright 2012-2018 Moment' Apart. All rights reserved. 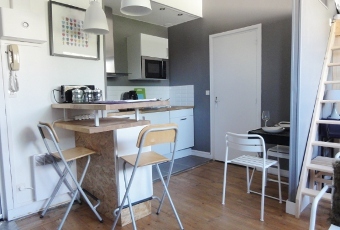 Rental furnished apartments in Lille.